UM Motorcycle will launch a new adventure bike called the UM DSR Adventure. The DSR Adventure will be priced at Rs. 1.39 lakh (ex-showroom Delhi). UM Motorcycles will launch an all-new 200 cc adventure motorcycle which will go head on with Hero MotoCorp’s upcoming XPulse 200. The DSR Adventure 200 will be UM’s first adventure offering in India. The UM DSR Adventure 200 will be powered by a 196 cc, single-cylinder, air-cooled engine that puts out 16 bhp at 8,500 rpm and 16 Nm of peak torque at 6,500 rpm. The carburetted engine is mated to a six-speed gearbox. The DSR Adventure 200 will get the typical ADV-style front beak, dual-purpose tyres, long travel suspension, as well as a standard engine bash plate to underscore the bike’s adventure credentials. According to latest reports, the bike will be available in three colours in India and expected to be launched in the first quarter of 2019. The UM adventure bike will have 17-inch wheels, shod with dual-sport rubber, and with disc brakes on both wheels, and a standard single-channel ABS. 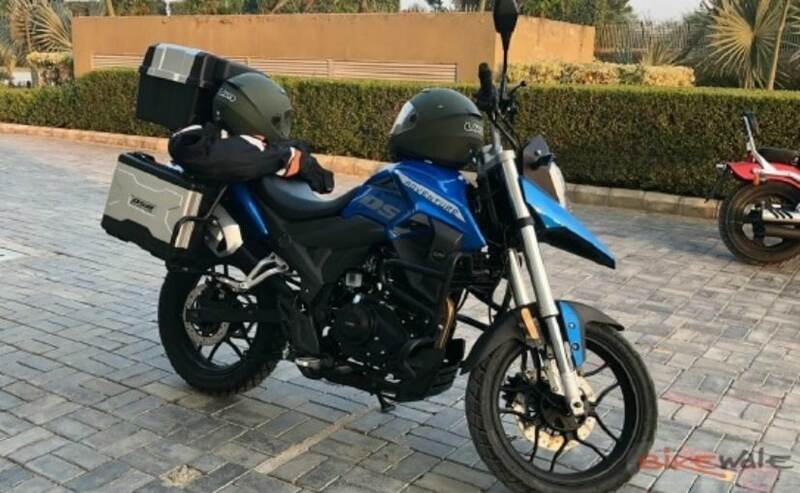 The UM DSR Adventure is expected to be priced at ₹ 1.39 lakh (ex-showroom), and it will take on the soon-to-be-launched Hero XPulse 200, although the Hero adventure bike is expected to be priced slightly lower than the UM. The Hero XPulse also has a 200 cc single-cylinder engine which is shared with the Hero Xtreme 200R. The Hero XPulse is expected to be the most affordable adventure bike available in the market once it’s launched, in all likelihood, very soon in the market. The XPulse is powered by Hero’s 200 cc, single-cylinder, fuel-injected motor which puts out 18 bhp of maximum power and 17.1 Nm of peak torque. The XPulse is expected to be at least ₹ 20,000-30,000 less expensive than the UM DSR Adventure. SCOOP: Both Priyanka Chopra and Deepika Padukone to MARRY in November?